The Holy Prophet (S.A.W.) said: Surely, there exists in the hearts of the Mu'mineen, with respect to the martyrdom of Husain (A.S.), a heat that never subsides. If you desire that for you be the reward equivalent to that of those martyred along with Husain (A.S.), then whenever you remember him say: ' Oh! Would that I had been with them! A great achievement would I have achieved'. Every Mu'min, whose eyes shed tears upon the killing of Husain Ibn 'Ali (A.S.) and his companions, such that the tears roll down his cheeks, Allah shall accommodate him in the elevated rooms of Paradise. He should mourn over Husain (A.S.), weep for him and instruct the members of the house to weep for him. He should establish the mourning ceremony in the house by exhibiting lamentations and grief over him; the people should meet one another in their homes and offer condolences and consolation to each other over the calamities which befell him. Amirul Mu'mineen (A.S.), along with two of his companions, happened to pass by Kerbala and as he did so, tears filled his eyes. He said (to them), "This is the resting place of their animals; and this is where their luggage shall be laid down; and it is here that their blood shall be shed. Blessed are you O' Earth, that the blood of the beloved shall be spilled upon you." `As for A'li Ibn al‑Husain (A.S.), he cried over Husain (A.S.) for twenty years (after the tragedy of Kerbala); never would any food be placed before him except that he would begin to weep. 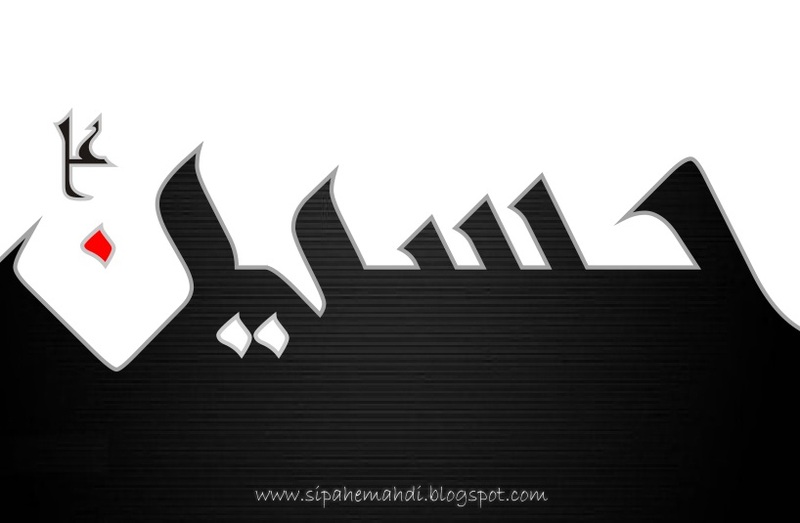 When Ibrahim, the son of the Holy Prophet (S.A.W.) died, tears filled the eyes of the Holy Prophet (S.A.W), whereupon he said, " The eyes are tearful and the heart is anguished (but) we shall not say anything which shall anger the Lord. Surely we, O' Ibrahim, are grief‑stricken for you"
After the news of the martyrdom of Ja'far Ibn Abi Talib (A.S.) and Zaid Ibn Harithah reached the Holy Prophet (S.A.W. ), whenever he entered his house, he would weep profusely for them and say: " They used to converse with me and were intimate with me and (now) both of them have departed together". Allah has appointed to the grave of Imam Husain (A.S.), four thousand anguished and grief‑stricken angels, who weep over him (and shall continue to do so) up to the Day of Judgment. On the Day of Judgment, you shall intercede for the ladies and I shall intercede for the men; every person who has wept over the tragedy of Husain (A.S.), we shall take him by the hand and lead him into Paradise. (On the Day of Judgment, a group would be seen in the most excellent and honourable of states. They would be asked if they were of the Angels or of the Prophets. In reply they would state): "We are‑neither Angels nor Prophets but of the indigent ones from the ummah of Muhammad (S.A.W.)". They would then be asked: "How then did you achieve this lofty and honourable status?" They would reply: "We did not perform very many good deeds nor did we pass all the days in a state of fasting or all the nights in a state of worship but yes, we used to offer our (daily) prayers (regularly) and whenever we used to hear the mention of Muhammad (S.A.W. ), tears would roll down our cheeks". He (Imam Husain) sees those, who come to his shrine and he knows them by their names, their father's names and their ranks in the eyes of Allah, The Mighty, The Glorious, better than you know your own children! (Once when he happened to pass by Kerbala), Isa (A.S.) sat down and began to weep. His disciples who were observing him, followed suit and began weeping too, but not comprehending the reason for this behaviour, they asked him: "O' Spirit of God! What is it that makes you weep?" Isa (A.S.) said: "Do you know what land this is?" The disciples replied: "No." He then said: "This is the land on, which the son of the Prophet Ahmad (S.A.W.) shall be killed. Ya Aba Abdillah Ya Husain a.s.